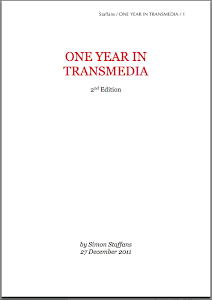 "But for the most part, traditional media remains traditional media, even if you hit it over the head with a transmedia axe." Gonna enjoy going through those slides. Hope you enjoyed Caerdydd too. Yes, Caerdydd was great - although I saw just a little bit of the city this town; we were stuck at the hotel most of the time... Take care, talk to you later!